Everyone has good and bad dreams. It's like a live horror movie playing in your mind, probably waking you up right before something terrible happens. For example, falling off a cliff or about being murder - relieved when you realize it's just a bad dream, it wasn't real. But did you know there are actually two types of sleep conditions that fall under the "bad dream" umbrella? Nightmares and sleep terrors (also called night terrors). Difference between Nightmares and Sleep terrors: you typically remember your nightmares - maybe not every detail, but you can remember that you’ve at least had one. But with night terrors, you could wake up and have no idea it occurred. The episode is typically remembered by your bed partner (hard for them to sleep through the screaming! ), but not by you. So, if you sleep alone, you could have sleep terrors and not even know it. A nightmare tends to get scarier gradually, not right away. Think of it like a scary movie - there tends to be a build up. Sleep terrors are different, you can be sleeping calmly, and all of a sudden you’re scared and screaming. So why does our brains play such terrifying tricks on us when we're sleeping? Nightmares are very common; 35-45 percent of people have one nightmare per month, and 2-6 percent have them more than once a week. Women have them more often than men, especially during pregnancy. According to the National Sleep Foundation, there are a few things that increase the likelihood of having a nightmare, including eating before bed (your metabolism kicks in, keeping your brain active), medications including certain antidepressants, lack of sleep, sleep disorders like restless leg syndrome, and stress. 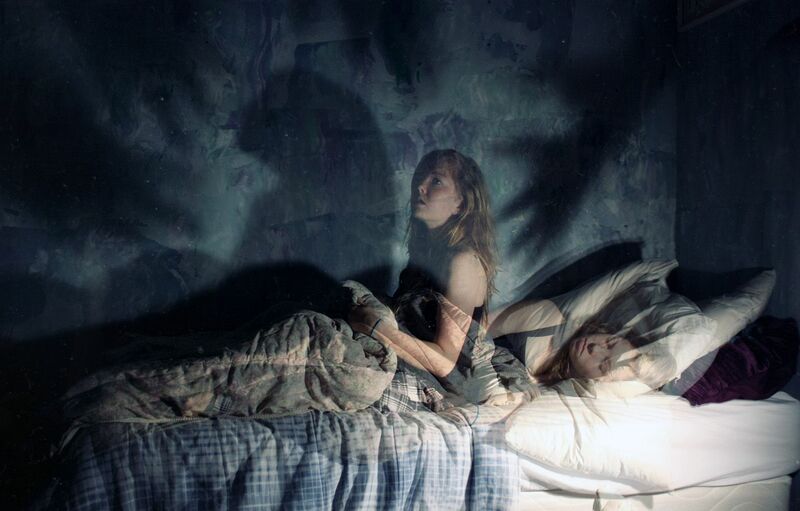 Recurring nightmares, or bad dreams where the same theme or events play out, are especially prevalent among trauma survivors and people with PTSD, according to the U.S. Department of Veterans Affairs.